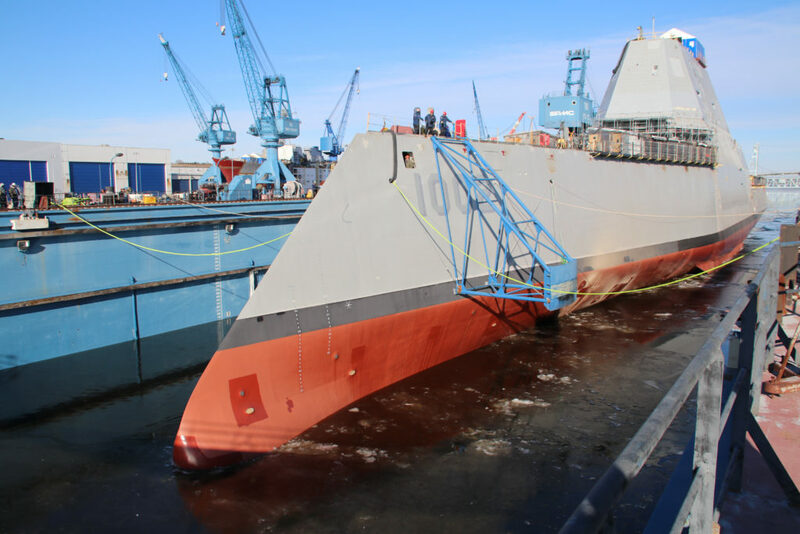 A keel laying and authentication ceremony for the future USS Lyndon B. Johnson (DDG-1002) was held January 30 at General Dynamics-Bath Iron Works shipyard in Bath, Maine. 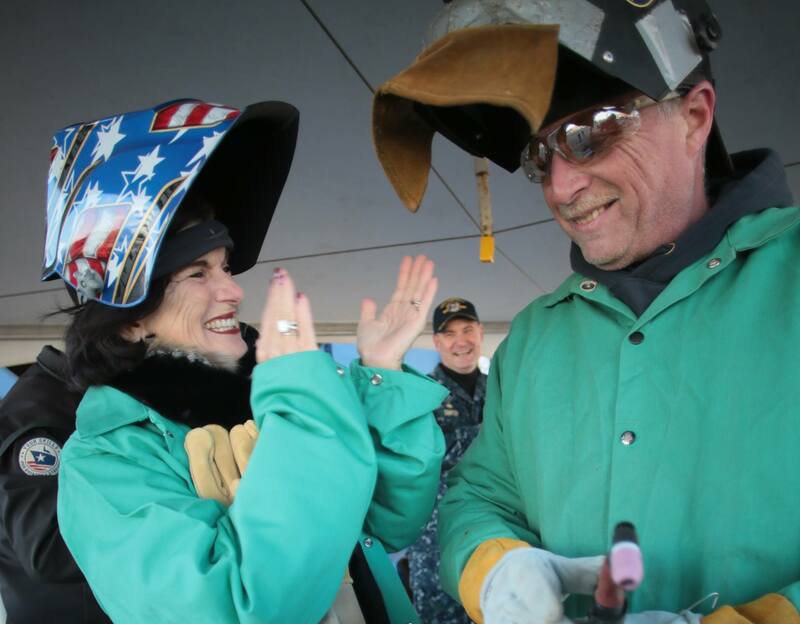 The keel was authenticated by President Johnson’s daughters and ship co-sponsors, Ms. Lynda Johnson Robb and Ms. Luci Baines Johnson, by welding their initials into the keel plate. «We’ve made tremendous progress on this ship and although we’re celebrating an early production milestone, we’re nearing 60 percent completion on the future Lyndon B. Johnson», said Captain Kevin Smith, DDG-1000 program manager, Program Executive Office (PEO), Ships. «We’re honored to be celebrating this milestone with our 36th President’s daughters and look forward to continued progress on the final ship of the Zumwalt class». Bath Iron Works is currently in production on the future USS Michael Monsoor (DDG-1001) as well Arleigh Burke-class destroyers USS Rafael Peralta (DDG-115), USS Thomas Hudner (DDG-116), USS Daniel Inouye (DDG-118) and USS Carl M. Levin (DDG-120).